Presidents, it turns out, are among the biggest animal lovers in the country. They've adopted pets, given and received them as gifts, and, like all good pet owners, given their animals a loving home-one with a very prestigious address. Almost all of the 43 presidents, from George Washington to George W., have had at least one pet. These pets might have received extraordinary pampering at 1600 Pennsylvania Avenue, but they also had extraordinary charges to look after. After all, these animals had to be there to celebrate with and comfort their owners during all the triumphs and tribulations that come with being President of the United States. The Presidential Pet Museum and Pet Hall provide lots of information on all the commanders-in-chief and their pets. Almost all of the 43 presidents, from George Washington to George W., have had at least one pet. The leaders of the free world have shared the White House with dogs, cats, birds, horses, and even an alligator and silkworms (both belonging to John Quincy Adams). The very first First Lady, Martha Washington, only had one parrot, but her husband had about ten horses and 18 hounds. While leading the infantile country, John Adams, the second president, built the first stables at the White House for his equines. Reportedly his favorite horse was named Cleopatra. At a time when novelty abounded-the telegraph and vulcanized rubber were just being invented-Martin Van Buren received two tiger cubs as a gift from the Sultan of Oman. The tigers must have wreaked havoc on the White House because soon after their arrival, Congress made him send the creatures to a zoo. William Harrison had a goat and a cow to keep him company while in office. Zachary Taylor, a Whig, had a canary named Johnny Ty. Unfortunately, poor Johnny died soon after President Taylor tried to provide him with a mate. (It turned out that the new bird was also male). Millard Filmore, who succeeded President Taylor in 1850, helped found the Buffalo chapter of the American Society for the Prevention of Cruelty to Animals. In addition to being president of the country, he also presided over this New York section of the ASPCA. James Buchanan, the only president who was never married, had a herd of elephants given to him by the king of Siam and a pair of eagles. A lesser-known president, Rutherford Hayes (1887-1881), also owned some interesting pets. 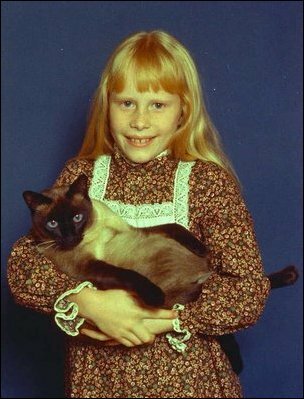 He had pedigreed Jersey cows and the first Siamese kitten to come into this country. President Grant was "father" to Jeff Davis, Cincinnatus, Egypt, St. Louis, Reb, Billy Button, and Butcher Boy-all horses. He also owned a parrot named Gamecocks and a Newfoundland named Faithful. Andrew Johnson didn't have any pets, but during his impeachment he supposedly left flour on the floor for the mice in his room. 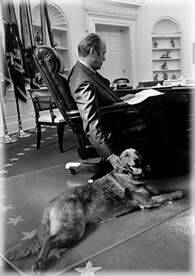 Another Johnson-Lyndon Johnson-had a beloved dog, Yuki. President Johnson's daughter Luci found Yuki at a gas station in Texas, and he hardly left the president's side after that. 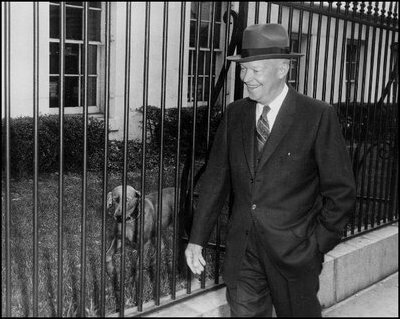 President Johnson also had two beagles; they were less creatively named Him and Her. In an effort to share his love of animals, Lyndon Johnson gave little Caroline Kennedy the famous pony Macaroni. 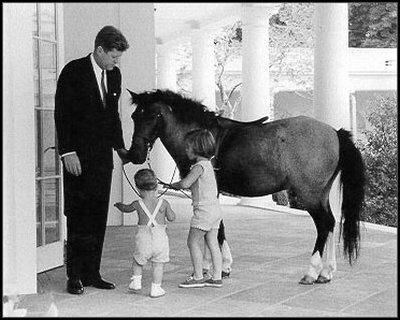 Caroline's pony was allowed free rein on the White House grounds and received many fan letters when her father, John F. Kennedy, was in office. Nikita Khrushchev also gave Caroline a dog named Pushinka. It seems the bond between animal lovers breached cultural and political differences-even during the cold war. Another president known by his initials, Franklin Delano Roosevelt, was inseparable from his Scottish terrier, Fala. He was the "New Deal" president's constant companion. "The dog went everywhere with the President, sitting between the leaders of the world," according to the Presidential Pet Museum Web site, "including when Roosevelt signed the Atlantic Charter in 1941 aboard the U.S.S. Augusta in the mid-Atlantic." Although they may meet more foreign dignitaries than the average mutt, presidential pets got into trouble too, just like the pets of ordinary citizens. Benjamin Harrison, who was president at the end of the 19th century, had to chase his son's goat down Pennsylvania Avenue one day when "Old Whiskers" decided to run off with his grandchildren. 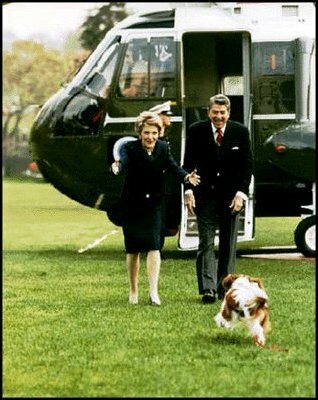 Ronald and Nancy Reagan had another unruly pet, a King Charles spaniel named Rex. 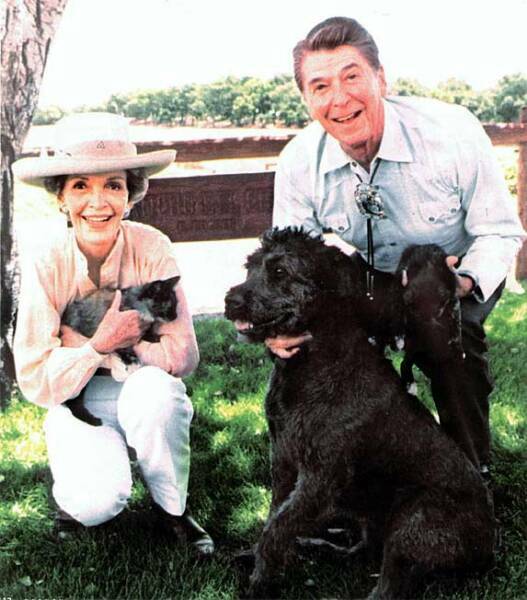 According to the Pet Hall Web site, "Rex often pulled too hard on his leash and would drag the Reagans away from reporters and photographers before anyone could ask the president any questions!" 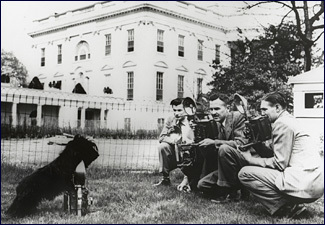 A Scottish terrier named Fala was the "New Deal" president's constant companion. William and Hillary Rodham Clinton's pets-Socks, a black and white cat, and Buddy, a chocolate Labrador-couldn't stand to be in the same room with each other. (Perhaps they took after their owners?) Buddy's bad habit of chasing cars recently proved fatal when he ran out an open door after a departing worker at his new house in New York and was tragically killed by a car. The pets in the Oval Office today are like their owner, President George W. Bush-slightly more, well, subdued. 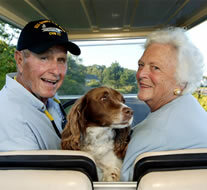 "Dubya" has two dogs: Spotty, a female English springer spaniel, and Barney, a male Scottish terrier. Spotty, short for Spot Fetcher, is named after former Texas Ranger Scott Fletcher. Her mother, Millie, belonged to George Bush Sr. 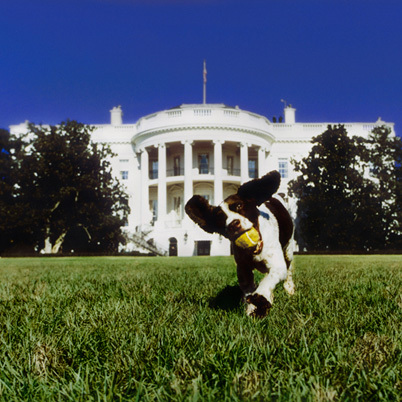 Spotty was born in the White House on March 17, 1989, and is the first-ever second-generation White House pet. Her younger pal, Barney, is only 2 years old and could have been named after that big purple dinosaur. He likes to play tennis ball with Spotty, according to his White House Web site. Unlike Buddy, Spotty and Barney tend to stay put when something dramatic happens. In mid January, the dogs were sitting with their owner as he watched a Baltimore Ravens football game. The president choked on a pretzel and passed out. Although no one else was in the room, he estimated that he had only been unconscious for a few seconds because Spot and Barney were sitting in the same place they were before he ate the pretzel. According to the Washington Post, the President told reporters, "I hit the deck and woke up, and there was Barney and Spot showing a lot of concern. I didn't realize what happened until I looked in the mirror." He added, "Barney, the terrier, was looking at me funny." 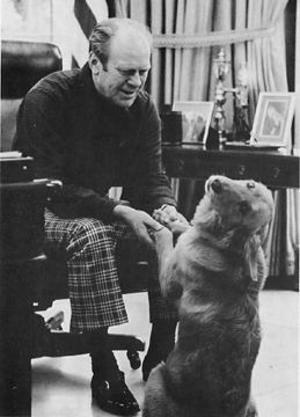 Americans have always been known to have a soft spot for their pets-presidents included. Even Theodore Roosevelt was a big "teddy" bear when it came to pets. When one son was sick, he let another son bring their pony in the White House elevator to visit the sick child. But American leaders aren't the only ones who are nuts about their animals-according to Pet Hall, Napoleon's wife Josephine let her pet orangutan sit at the dinner table with a coat on! A little history of "First Pets"